In a medium skillet, brown sausage and drain. 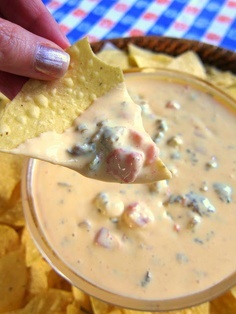 In a large bowl, heat cream cheese, velveeta and sour cream in microwave until melted. Stir in tomatoes and sausage.